Toaster for home and commercial use - China Foshan Nanhai Flamemax Catering Equipment Co., Ltd.
FLAMEMAX, WHO IS SPECIALIZED IN KITCHEN EQUIPMENT FOR 10 YEARS! Toaster, also called toast maker. And according different needs and using place. 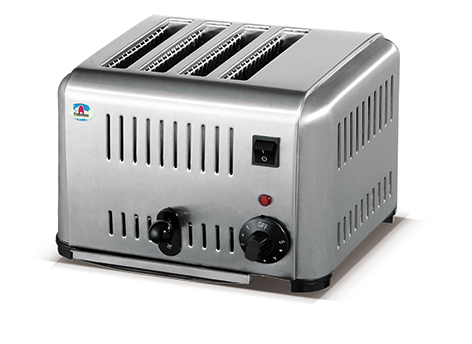 we have two types of toaster which is electric small appliance designed to brown sliced bread by exposing it to radiant heat. As the general toaster mking machines,the toaster can be poped when you need it. 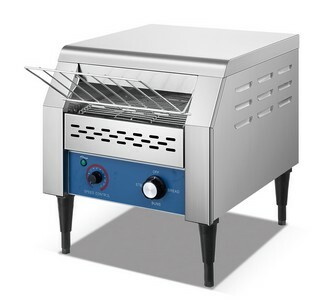 And the other one is conveyor toaster, which is quite efficient and suitable for busy restaurantt. Since it can continous baking toasters, when your customer came like a tide. That will release a lot of pleasure for you and improving the quality of your service. Also, the baking speed can be controled. when the peak time is over, you can slow down the baking speed. That is really convinent for you. Don't you think so? Welcome to contact us by mail: candice@flamemax.com or whatsapp:+8615813644537, if you have interest to know more about us. We are always here, working for you! Flamemax is one of the leading manufacturers and exporters of kitchen equipment in China since 2007 !